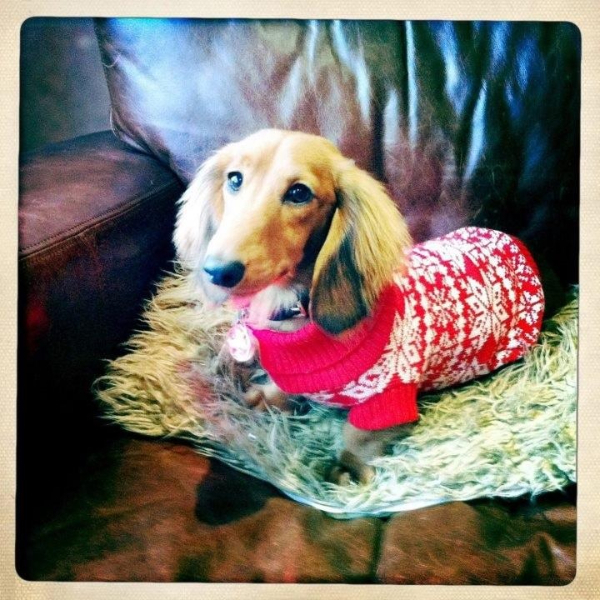 Congratulations to Mia Mae, who won our fab prizes with 445 ‘likes’ on her entry. 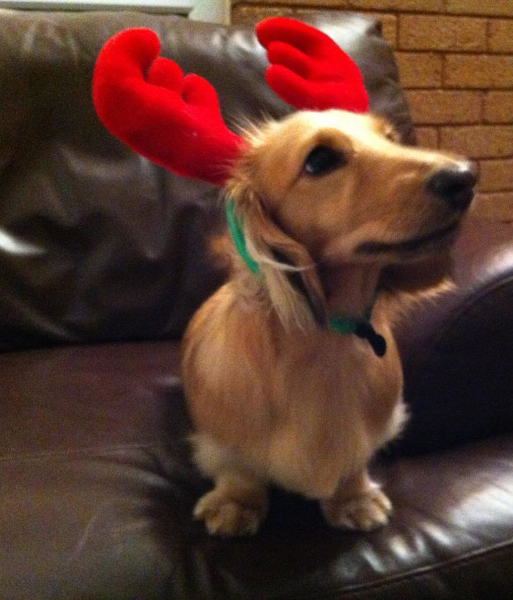 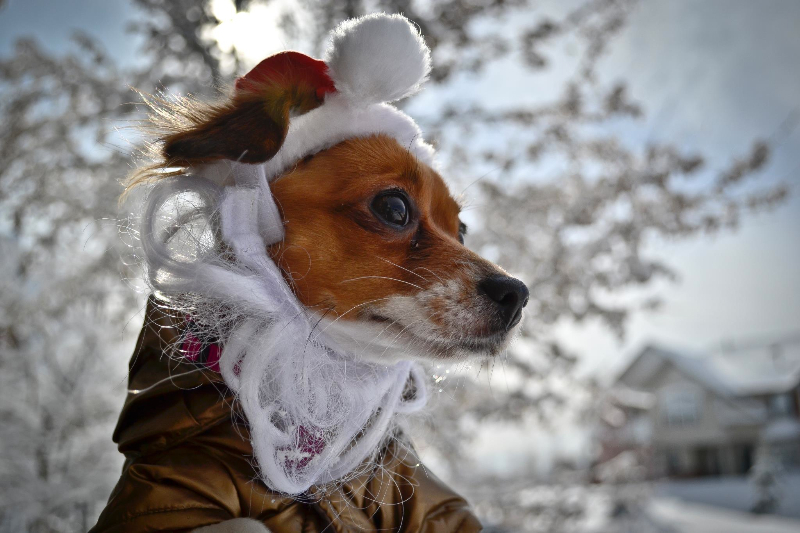 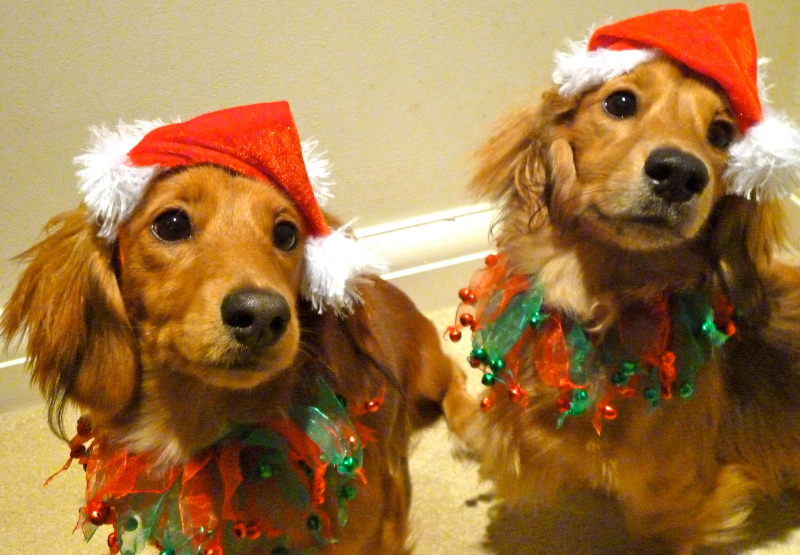 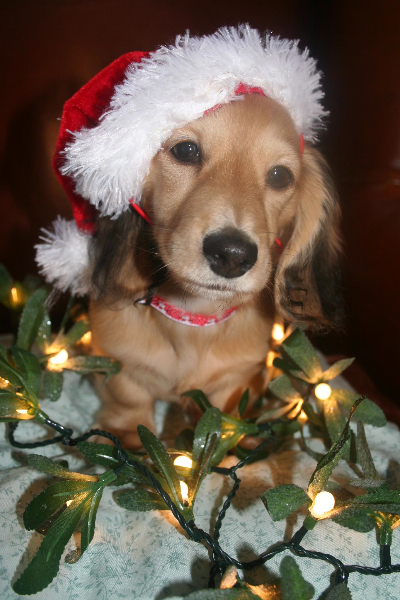 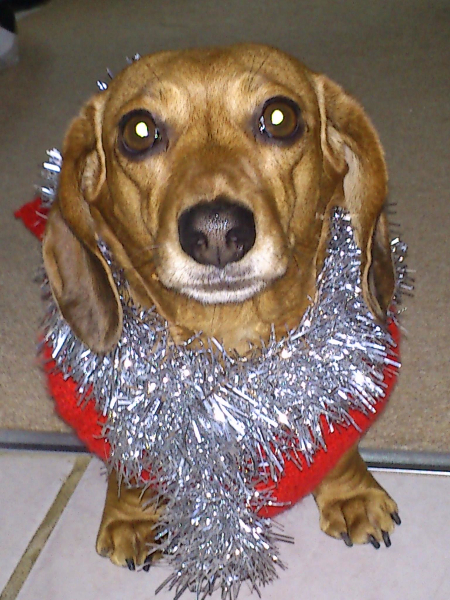 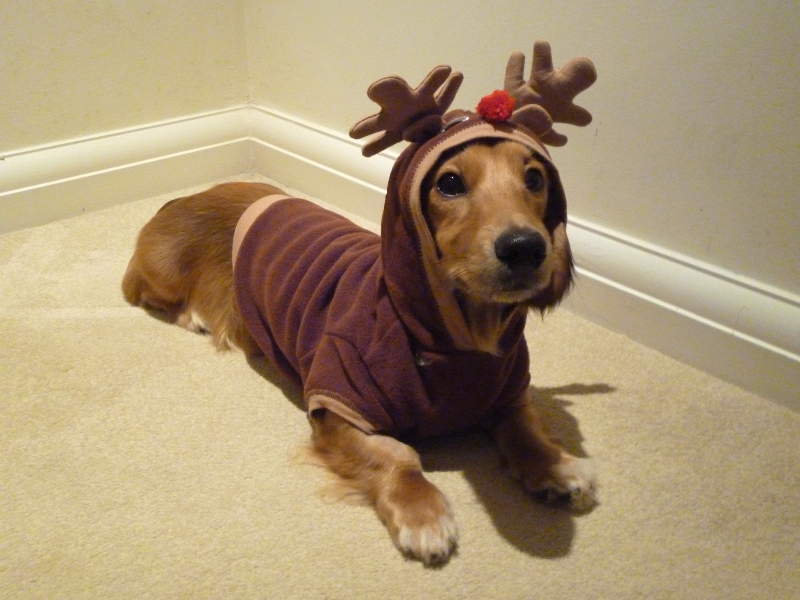 Okay folks, it’s time to get creative with the tinsel and baubles………..We can’t wait to see your gorgeous dachshunds all dressed up for the festive season! 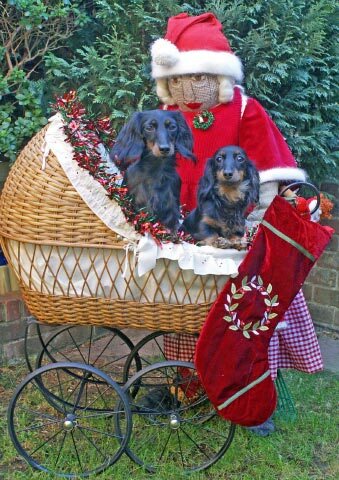 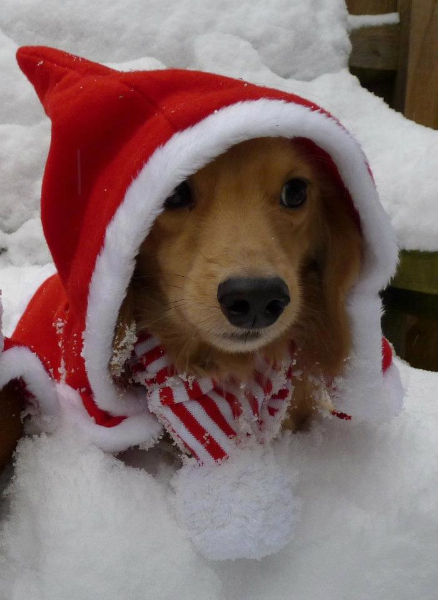 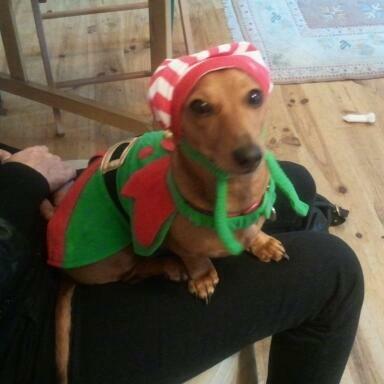 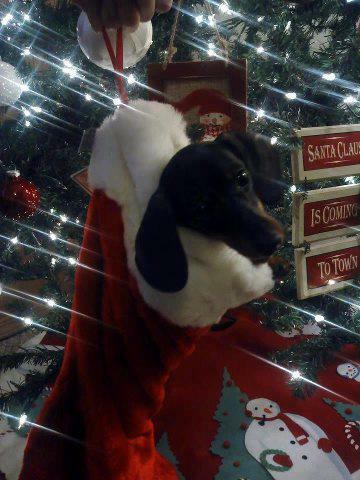 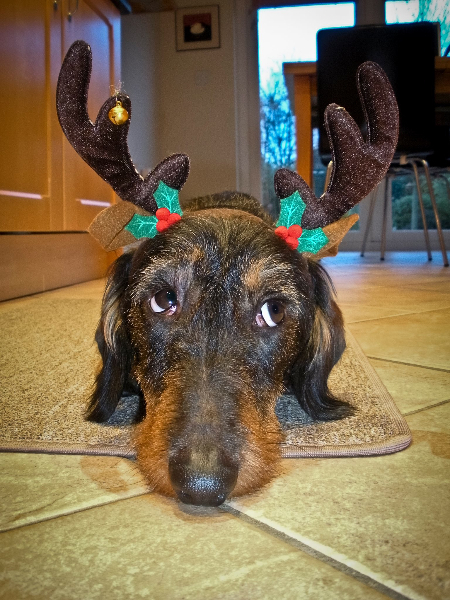 Here at ‘M.A.D’ we are running our xmas photo competition to win some amazing prizes……perfect for that very special xmas gift for the dachshund addict in your life. 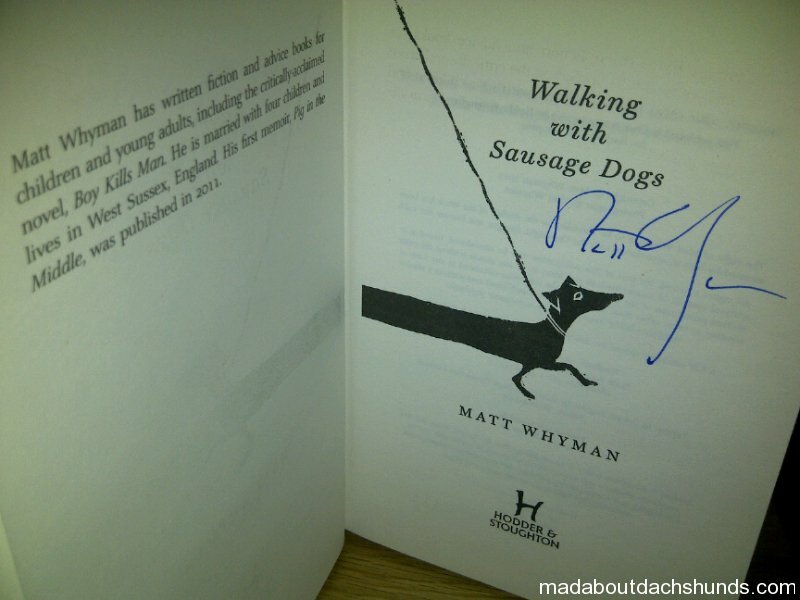 For your chance to win a SIGNED copy of the fantastic book ‘Walking with sausage dogs’, kindly donated by the author, Matt Whyman, his wife Emma, and their gorgeous dachshund, Hercules. 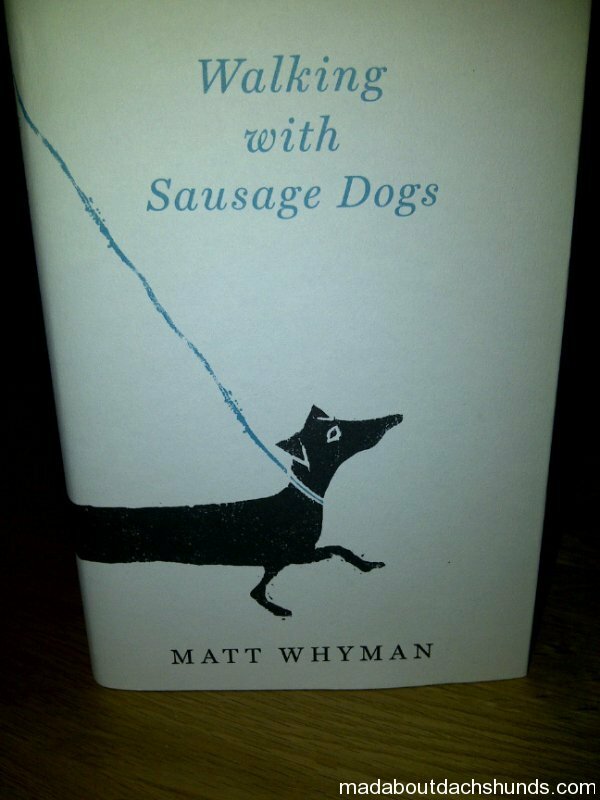 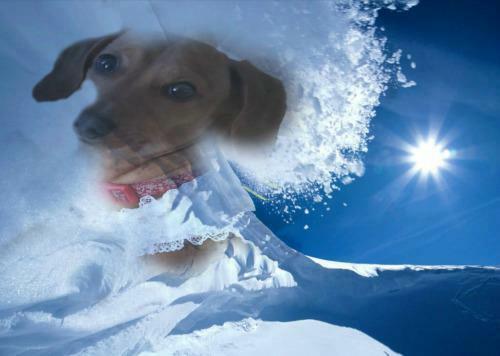 This is a funny, touching, true life tale of one families introduction to a dachshund, and how he changed their life forever!! 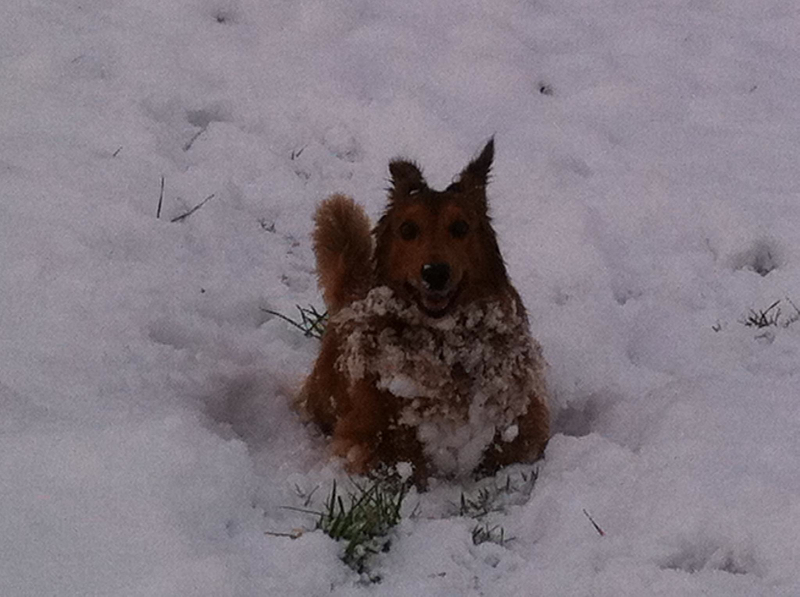 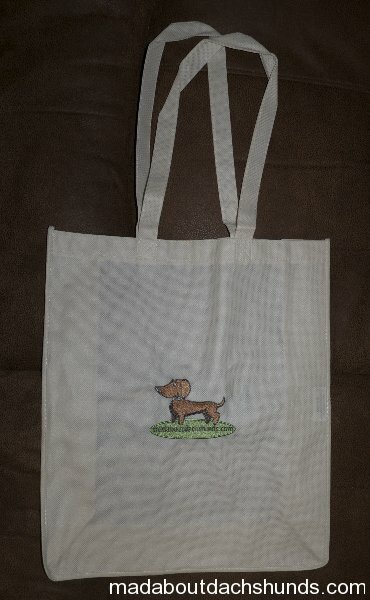 You are sure to find a little piece of your own dogs in the words written. 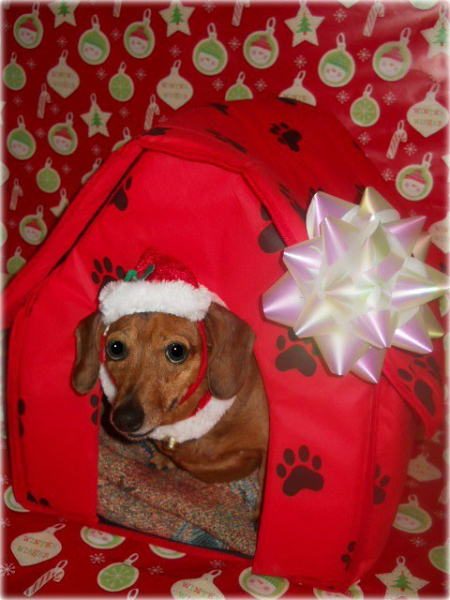 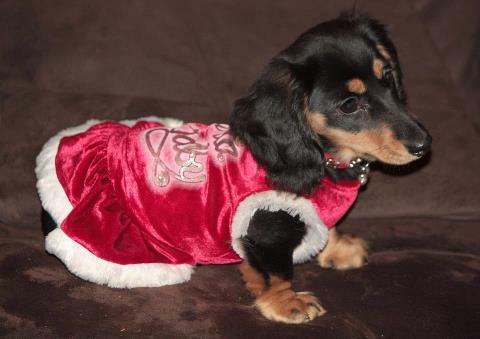 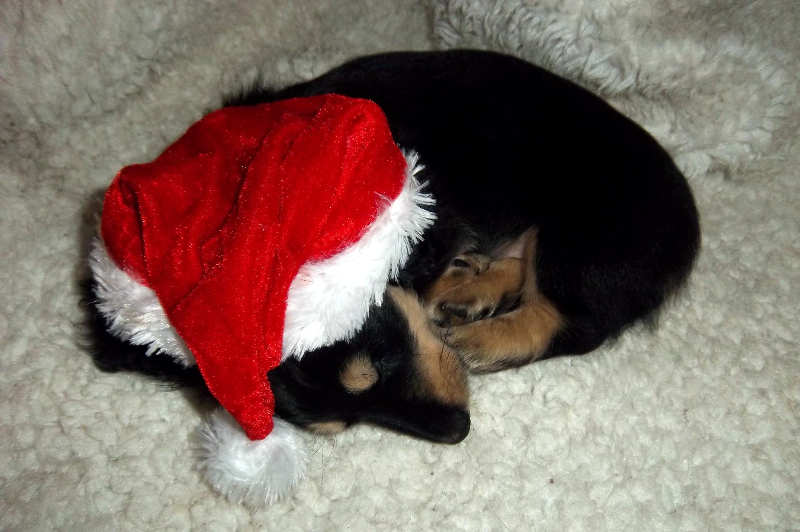 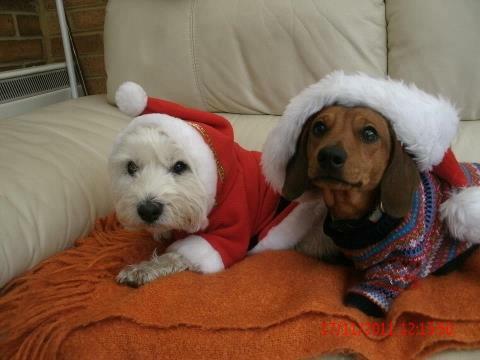 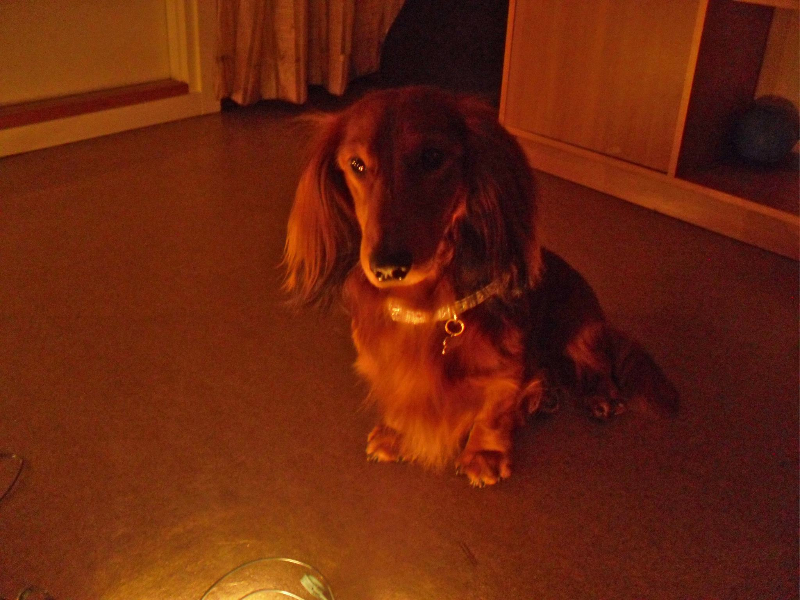 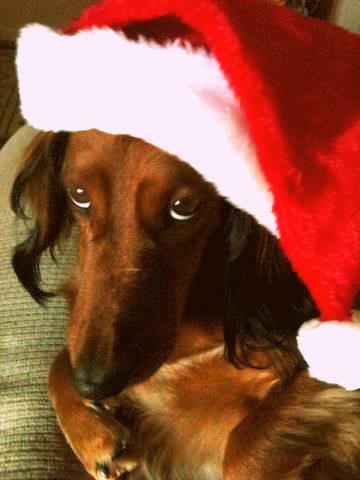 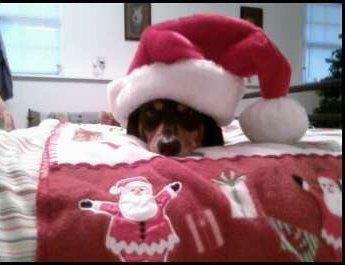 For your chance to win these great prizes upload your dachshund xmas themed photos to our Facebook Page. 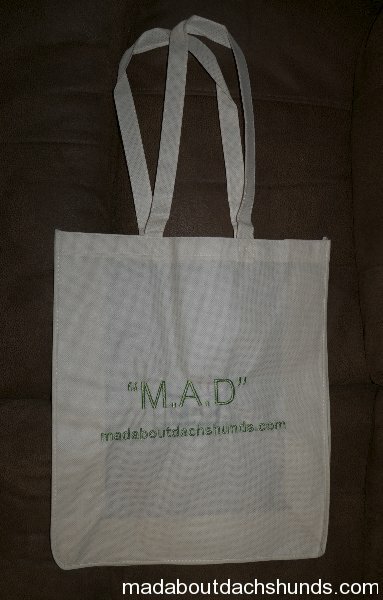 We will put each entry into our ‘M.A.D’ xmas album where we will count the ‘likes’. 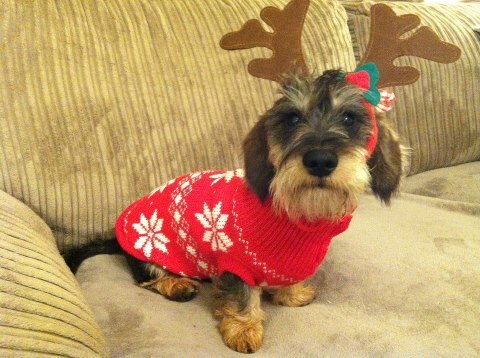 The pic with the most ‘likes’ in the album, will win! 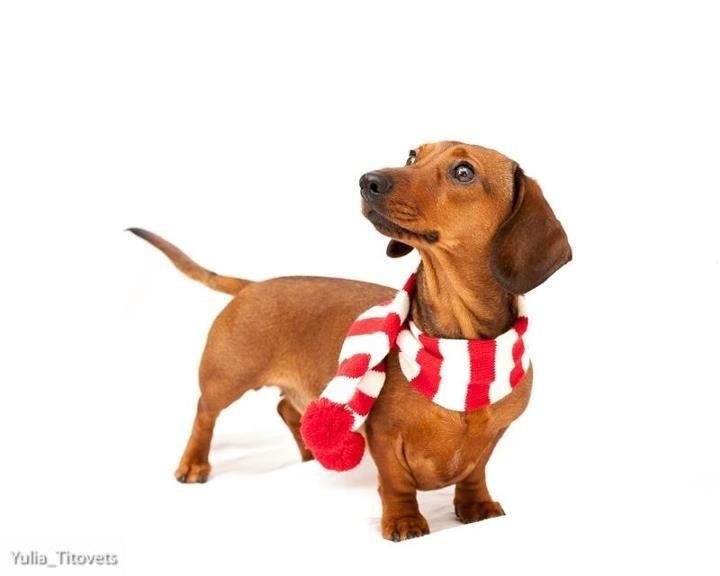 If the winner resides outside the UK they are responsible for paying the P&P costs to enable us to ship the prizes. 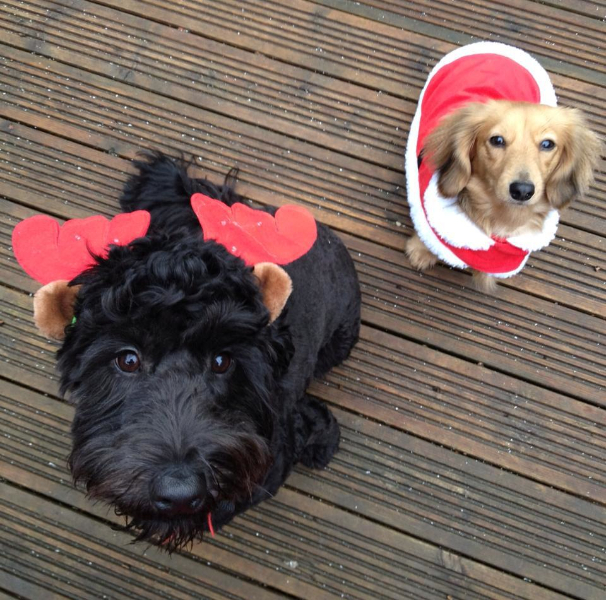 Here are the entries so far……..Good luck!